More than mum -- a good description for the $3 billion California stem cell agency this morning as it wrestles with what is likely its most important decision of 2017. And that is finding a new president to oversee what some call the "last stage" of its life and its search for a stem cell therapy that will fulfill the expectations of the voters who created the research program in 2004. The governing board of the California Institute for Regenerative Medicine (CIRM), as the Oakland-based agency is formally known, has held one meeting of its presidential search committee since Randy Mills announced his resignation May 2. No public utterances emerged, however, from the July 17 session. Did the panel set a timetable for selecting a new president? No response. Will the board hire a search firm to help recruit? No response. Is the search committee going to meet again? No response. Simple questions that have been dealt with openly in past presidential searches at CIRM. The search for a replacement for Mills has special significance. The agency expects it will run out of cash for new awards in three years or less. In the world of stem cell research, that may not be a nanosecond but it is a very short period of time. It raises the likelihood of an exodus of staff from the program, which has also lost another linchpin in the organization, general counsel James Harrison. Without some certainty and confidence about the next three years, some CIRM employees, of which there are only about 50, may look to other enterprises for their professional futures. The likelihood of more departures could increase unless the board moves to shore up stability and to help retain the energy that Mills brought to the program. Maria Millan, formerly the vice president for therapeutics, is interim president. Mills publicly endorsed her to fill his slot, which carries an annual salary of up to $575,000. She has been in place for one month. She too may be wondering about the stability of her position and whether she should be looking elsewhere for a position. The California stem cell agency this week highlighted a couple of milestones that it suggests may be creating a trend towards wider application of its research. The springboard was an announcement that the Food and Drug Administration (FDA) had granted a "rare pediatric disease designation" to a therapy that the agency has backed with nearly $52 million. The FDA action comes as the agency is in what some call its "last stage." The agency, formally known as the California Institute for Regenerative Medicine (CIRM), expects to run out of cash for new awards in about three years. No additional funding appears readily available for the agency, which was created by voters in 2004. It has yet to fulfill voter expectations that it would produce a stem cell therapy that is widely available. The agency this week, however, touted the FDA designation, which involves a treatment for what is commonly known as "bubble baby syndrome." The treatment is called OTL-101 and is being developed by Orchard Therapeutics Ltd, which is based in the United Kingdom The firm is working with Donald Kohn of UCLA, who has been researching in the area for decades. "The treatment) involves taking the patient’s own blood stem cells, genetically modifying them to correct the SCID mutation, and then returning the cells to the patient. Those modified cells create a new blood supply, and repair the child’s immune system." "The importance of the rare pediatric disease designation is that it gives the company certain incentives for the therapy’s development, including priority review by the FDA. That means if it continues to show it is safe and effective it may have a faster route to being made more widely available to children in need." "This is the second time in less than two weeks that a CIRM-funded therapy has been awarded rare pediatric disease designation. Earlier this month Capricor Therapeutics was given that status for its treatment for Duchenne muscular dystrophy. "Two other CIRM-funded clinical trials – Humacyte and jCyte – have been given regenerative medicine advanced therapy designation (RMAT) by the FDA. This makes them eligible for earlier and faster interactions with the FDA, and also means they may be able to apply for priority review and faster approval. "All these are encouraging signs for a couple of reasons. It suggests that the therapies are showing real promise in clinical trials. And it shows that the FDA is taking steps to encourage those therapies to advance as quickly – and safely of course – as possible." "Getting these designations is, of course, no guarantee the therapies will ultimately prove to be successful. But if they are, creating faster pathways means they can get to patients, the people who really need them, at a much faster pace." The San Diego stem cell company that received national attention for treatments of sports heroes such as Gordie Howe and Bart Starr is now facing legal complaints involving its financial affairs, USA Today reported this morning. "The company, Stemedica Cell Technologies, had drawn praise from the families of Bart Starr, the legendary former NFL quarterback, and Gordie Howe, the hockey legend. Both families credited the firm’s stem cells for helping the two bounce back after suffering debilitating strokes. John Brodie, another stroke victim and former NFL MVP quarterback, also praised the company’s stem cell products after being injected with them in foreign countries. "But even after that boost from big names, a spate of recent legal and financial issues has challenged the company, whose business relies on selling hope in the form of new but unproven regenerative medicine." The lengthy article went on to discuss lawsuits involving misuse of funds and unpaid bills, including the alleged failure to pay a $500,000 loan despite numerous extensions. The company told USA Today that the misuse of funds allegations are "completely false" and has contested the other allegations in court. Former USC medical school dean Carmen Puliafito, who reportedly led a secret life involving drugs and prostitution, is no longer a member of the governing board of the $3 billion California stem cell agency. "This individual is no longer on the board." However, as of this writing, the web site for the agency listed Puliafito as a member of the governing board, carrying a short biography and a photo. "If the governor says he is not in the board then he is not on the board. We will change the web page." The governor's office did not respond to requests last week for more details concerning Puliafito's departure. But his term expired last December. Agency board members may continue to serve until a replacement is named. The position that Puliafito held on the board of the California Institute for Regenerative Medicine(CIRM), as the agency is formally known, is required to be filled by an executive from a California university. 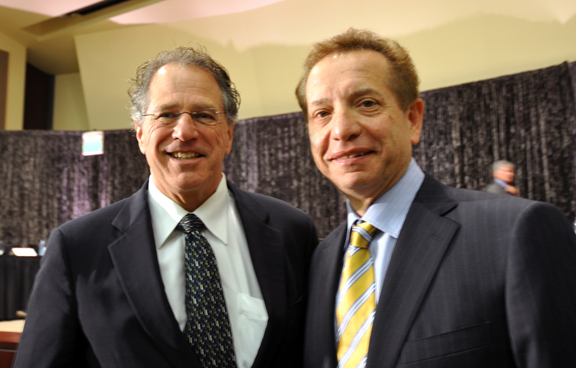 Since the inception of the agency in 2004, the seat has been filled by the dean of the USC School of Medicine. USC. CIRM provided $27 million for the $80 million project. Then CIRM board chairman Bob Klein is second from right. appointed to the CIRM board. It is not clear whether the governor will replace Puliafito with another representative from USC. Brown may look askance at the school in the wake of reports about how USC handled the Puliafito affair over a period of more than a year. 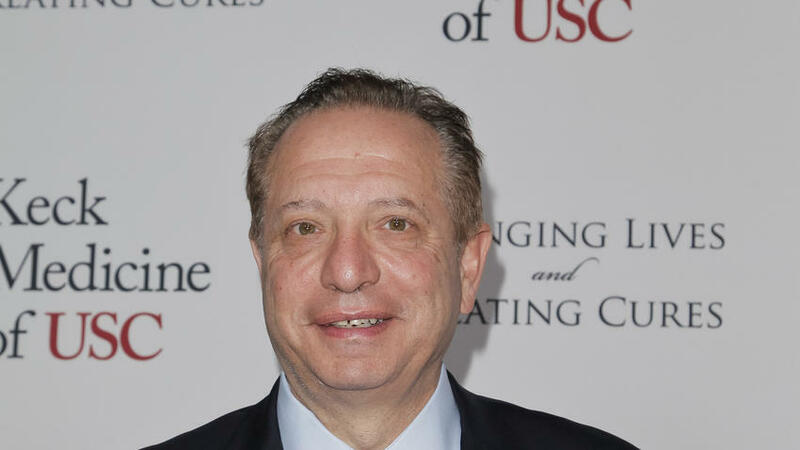 "USC bosses flunk the leadership test amid shocking allegations about former medical school dean"
USC ranks 6th among California institution in the amount of awards it has received from CIRM, collecting a total of $110 million. Cellular treatments of cancer received a big media boost this morning with a front page story in the New York Times that said the door is opening on a radical new class of therapy. "Racing to Alter Patients' Cells to Kill Cancer"
The article by Denise Grady was also high on the Internet home page this morning of the Times. "Companies and universities are racing to develop these new therapies, which re-engineer and turbocharge millions of a patient’s own immune cells, turning them into cancer killers that researchers call a 'living drug.' One of the big goals now is to get them to work for many other cancers, including those of the breast, prostate, ovary, lung and pancreas. "'This has been utterly transformative in blood cancers,' said Dr. Stephan Grupp, director of the cancer immunotherapy program at the Children’s Hospital of Philadelphia, a professor of pediatrics at the University of Pennsylvania and a leader of major studies. 'If it can start to work in solid tumors, it will be utterly transformative for the whole field. ;'"
High in the story (the fifth paragraph), Grady mentioned that cellular treatments are also being studied in connection with glioblastoma, the type of brain cancer afflicting Sen. John McCain. The Times carried a host of caveats about the likely new therapy, its dangers and even deaths that have occurred during the research. But "studies are forging ahead," Grady reported, despite the fact that they are expected to cost hundreds of thousands of dollars. The article did not mention the research that has been financed by California stem cell agency, which has pumped $90 million into developing cellular-connected treatments for cancer. The California Stem Cell Report wrote about that effort last week and filed a freelance story on the subject for The Sacramento Bee. The type of aggressive brain cancer that is now afflicting U.S. Sen. John McCain is a disease that has been long targeted by California's $3 billion stem cell agency. The agency, formally known as the California Institute for Regenerative Medicine (CIRM), has spent more than $90 million for research dealing with brain cancer, which claims the lives of 13,000 people each year. Particularly deadly is glioblastoma, the form of cancer involving McCain. 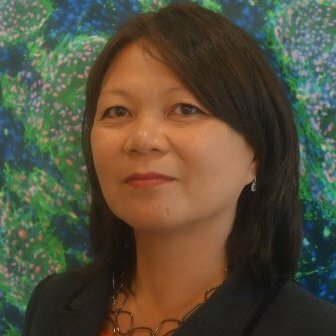 In January, Karen Ring, a stem cell scientist and overseer of CIRM's social media, wrote on the agency's blog about an early stage clinical trial involving glioblastoma, describing it as "a new cell-based therapy that melted away brain tumors in a patient with an advanced stage" of the disease. The research was conducted at the City of Hope's Alpha Clinic, an effort created by the stem cell agency. In March, Behnam Badie, who is leading the research, discussed the therapy at a symposium dealing with results from year two of the Alpha Clinic program. Badie, whose father died of brain cancer, described how the use of T-cells beneficially affected the patient, Richard Brady, who was also a surgeon. "I find myself in disbelief that I am here." "Stem cell approaches look promising for treating gliomas. Certain types of stem cell tend to migrate toward the tumor cells wherever they are in the brain. CIRM-funded researchers are trying to genetically engineer those stem cells to produce cancer-killing molecules. Transplanted into the brain, these cells would seek out the cancer cells and deliver their therapy directly where it is needed. This approach could significantly decrease toxic side-effects to normal tissues, preserving or improving the patient's quality of life." "The effects of the immunotherapy lasted for seven-and-a-half months. Unfortunately, his glioblastoma did come back....Patients with advanced cases of glioblastoma like Richard often have only weeks left to live, and the prospect of another seven months of life with family and friends is a gift." Two items today and yesterday on the California Stem Cell Report incorrectly said that Carmen Puliafito was reappointed as a member of the stem cell agency's governing board in 2010 by Gov. Jerry Brown. The re-appointment was made by then Gov. Arnold Schwarzenegger. Brown was elected in 2010 but did not take office until 2011. The former dean of the USC medical school, who is also a member of the governing board of the $3 billion California stem cell agency, is on leave and no longer seeing patients, the Los Angeles Times is saying today. The news came after the Times reported yesterday that Carmen Puliafito had a "secret life" involving illegal drug activity, some of which was captured on video. Puliafito was appointed in 2008 to the 29-member board of the California Institute for Regenerative Medicine (CIRM), as the agency is officially known, by then Gov. Arnold Schwarzenegger and reappointed by him in 2010. Puliafito's term expired last fall but he is permitted to serve until a replacement is named. The governor's office has not responded to requests yesterday by the California Stem Cell Report for a comment about the matter. Puliafito has made no comment about the Times' reports. "During his tenure as dean, Puliafito kept company with a circle of criminals and drug users who said he used methamphetamine and other drugs with them, a Los Angeles Times investigation found. "Puliafito, 66, and these much younger acquaintances captured their exploits in photos and videos. The Times reviewed dozens of the images." Puliafito resigned his $1.1 million position as dean in March 2016, declaring he wanted to pursue outside opportunities. He still serves, as a gubernatorial appointee, on the board of the California Institute for Regenerate Medicine (CIRM), as the stem cell agency is formally known. The board position pays $100 a day for meeting attendance. The board meets 10 to 12 times a year. USC has received $110 million from CIRM since 2004, ranking No. 6 among all California institutions that have won stem cell awards from the state agency. USC has had a representative on the board since its inception in 2004. "Curing Alzheimer’s is a top priority for government agencies and pharmaceutical companies, and Aisen’s lab was overseeing groundbreaking research, including drug trials at 70 locations around the world. More than $340 million in funding was expected to flow to his lab, according to court records. "UC contended in its suit that its private school rival went beyond the bounds of academic recruiting by targeting professors and labs based on grant funding. The suit accused USC of civil conspiracy, aiding and abetting breach of fiduciary duty and other misconduct." Puliafito's current term on the stem cell agency board term expired Nov. 3, 2016, according to a governor's office document. However, members of the board may serve until a replacement is named. He was appointed in 2008 by then Gov. 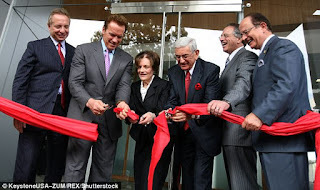 Arnold Schwarzenegger and reappointed in 2010, also by Schwarzenegger, according to the governor's office document. "We were surprised to read the allegations about Dean Puliafito in the Los Angeles Times. Since being appointed to the CIRM Board by Governor Arnold Schwarzenegger, in late 2008, Dean Puliafito has served with distinction, bringing knowledge, expertise and deep commitment to our mission." The California Stem Cell Report also asked Brown's office for comment. When it responds, the full text of the comments will be carried. The reporters who put together the story are Paul Pringle, Harriet Ryan, Adam Elmahrek, Matt Hamilton and Sarah Parvini. (Editor's notes: An earlier version of this item said that Puliafito was reappointed by Brown in 2010. The re-appointment was by Schwarzenegger. Brown was elected in 2010 but did not take office until 2011. The California stem cell agency today related a compelling story concerning a physician named Lukas Wartman who received "a life-saving stem cell treatment that is now threatening his health." 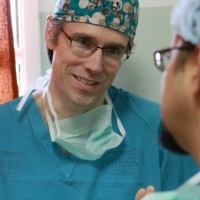 "One man’s journey with leukemia has turned into a quest to make bone marrow stem cell transplants safer"
"He was first diagnosed with a type of blood cancer called acute lymphoblastic leukemia (ALL) in 2003. Since then he has taken over 70 drugs and undergone two rounds of bone marrow stem cell transplants to fight off his cancer." "While the second transplant and cancer-fighting drugs have succeeded in keeping his cancer at bay, Wartman is now suffering from something equally life threatening – a condition called graft vs host disease (GVHD). In a nut shell, the stem cell transplant that cured him of cancer and saved his life is now attacking his body." "Another promising therapy is called Prochymal. It’s a stem cell therapy developed by former CIRM President and CEO, Dr. Randy Mills, at Osiris Therapeutics. Prochymal is already approved to treat the acute form of GVHD in Canada, and is currently being tested in phase 3 trials in the US in young children and adults. "While CIRM isn’t currently funding clinical trials for GVHD, we are funding a ($20 million) trial out of Stanford University led by Dr. Judy Shizuru that aims to improve the outcome of bone marrow stem cell transplants in patients. Shizuru says that these transplants are “the most powerful form of cell therapy out there, for cancers or deficiencies in blood formation” but they come with their own set of potentially deadly side effects such as GVHD." "We don’t want these patients to suffer quietly. Wartman’s story is an important reminder that there’s a lot more work to do to make bone marrow transplants safer – so that they save lives without later putting those lives at risk." California's $3 billion stem cell research program is looking for a new president to carry the state agency through what may be the last three years of its life. The search committee of the agency's 29-member governing board meets July 17 to discuss the matter behind closed doors. But members of the public will have a chance to comment during an open portion of the meeting. Or they can email comments directly to the board at info@cirm.ca.gov ahead of the meeting. So far, no comments have been received from the public concerning the selection of a new president, according to an agency spokesman. Currently Maria Millan is the interim president and CEO of the 12-year-old program, replacing Randy Mills, who is taking a job in Minneapolis. Mills has said that Millan is his choice as a successor. Millan joined the agency in December 2012 and was vice president for therapeutics before her interim appointment. Last month, directors of the California Institute for Regenerative Medicine (CIRM), as the agency is formally known, ratified her as interim president, voicing no reservations in public about the action. The current salary for the position ranges from $311,000 to $575,000 annually. The main location for next week's session is the Claremont Hotel in Berkeley. Teleconference locations where the public make direct audio comments to the board are available in Sacramento and at UCLA in Los Angeles. Details are available on the agenda. The agency has projected that it will run out of funds for new awards in June 2020. However, the end of funding could come sooner or later depending on the agency's rate of spending for awards. The agency relies on money borrowed by the state (bonds), which roughly doubles the cost of the research to about $6 billion because of interest costs. Earlier, there was talk about a possible $5 billion bond election in 2018 to continue funding the agency. However, that possibility appears to have been delayed until November 2020, which would be beyond the date when the agency is currently expected to run out of cash. 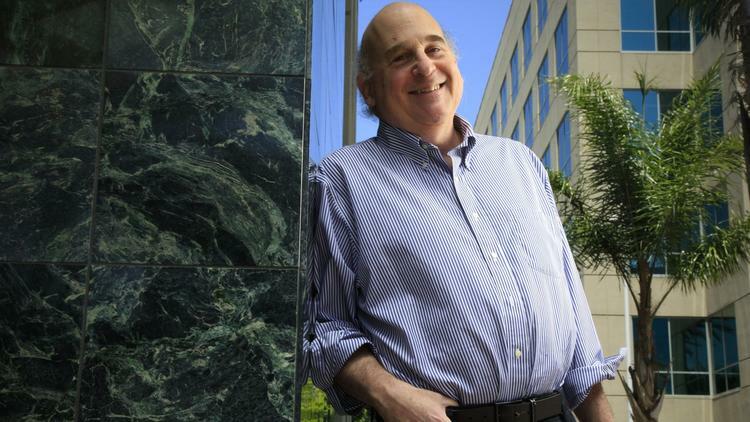 Bob Klein, the Palo Alto real estatement investment banker who led the 2004 ballot campaign that created the stem cell agency, is the chief voice behind the idea of another bond issue. He has not responded to inquiries from the California Stem Cell Report about his latest bond plans. This blog will carry the full text of his comments if he does respond. Here is a list of the members of the CIRM search group: Deborah Deas, Judy Gasson, David Higgins, Steve Juelsgaard, Al Rowlett, Jeff Sheehy, Jonathan Thomas, Art Torres and Kristiina Vuori. Biographical sketches can be found here.